Form to Release criminal record information to a third party. Help us quickly reach you or your designated emergency contact in case of an emergency. Commend an Officer who has gone above and beyond. Anonymously submit information regarding a crime. Notice packet and relevant ordinances for protests. Have a police officer speak at your civic event. Bond form for precious metal dealers. Co-owner form for Precious Metal Dealers. Application for a precious metal dealer permit. Schedule an appointment to pick up property confiscated as evidence. Application packet and town ordinances relating to parades and public assemblies. Hire an off duty police officer for your event. Going out of Town? 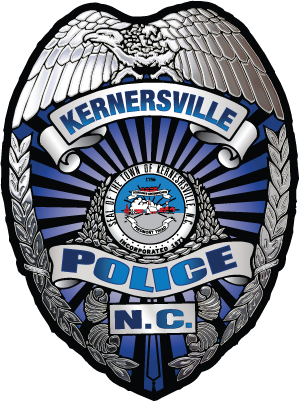 The Kernersville Police Department can keep an eye on your residence during your absence. Safety waiver for participants in a police ride along. Application for sponsorship into a BLET Program.